Welcome to Roadway Auto and Sport’s Financial Centre! Our goal here is to make your purchase and finance experience more than just easy, but fun as well! Nowhere else in Canada will you find more experienced professionals working on your behalf. Roadway has partnered with over a dozen lenders to ensure that we have a fit for every credit need, and can offer the most competitive interest rates and finance terms available. Weird Credit? No worries! 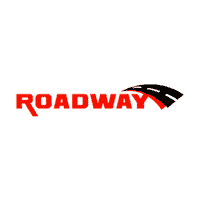 Roadway has helped thousands of clients with poor credit purchase vehicles and put them on the road to credit repair. This includes new immigrants, clients in bankruptcy or credit proposals, young buyers, clients with no credit, previous repossession. Our process is designed to ensure quick and easy approvals for almost every situation. Apply now on our easy to use online application. Our site is heavily encrypted to assure your information is confidential and secure. We Do Not Sell Your Information! All of Roadway’s vehicles are fully inspected, professionally cleaned, come with a vehicle history report and warranty.